Autumn and Winter fashion, in my eyes, will always produce the crème de la crème items of my wardrobe. 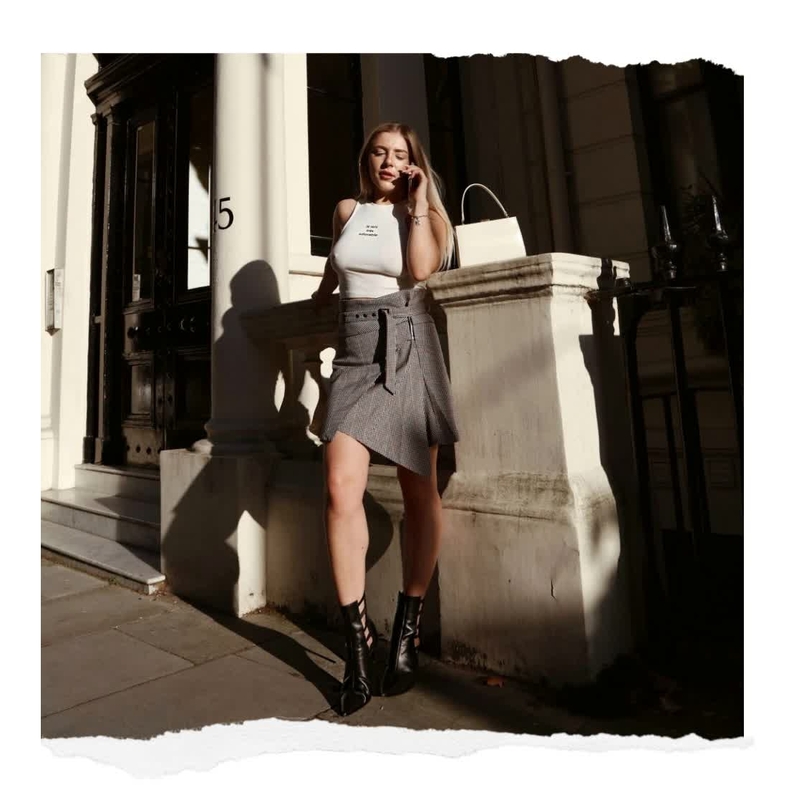 From transitional knits to Prince of Wales check mini skirts and formal trousers, Autumn and Winter clothing always manages to stay relevant year round. My wardrobe most definitely matures during the colder months. Perhaps it is the conditioning of academic routine. September will always be seen as a time for a new start; a new set of clothes, a declutter, a fresh haircut and a refocused set of goals to achieve. My style becomes much more refined and concentrates on classic styles, tones and cuts. I wanted this shoot to embrace the most obvious sign that autumn is near. The sun is more golden and starts to set earlier in the day, playing with the shadows it casts. The days are warm, but the nights are suddenly cooler. This look reflects the uncertainty of early autumn and is perfect for either weather outcome.